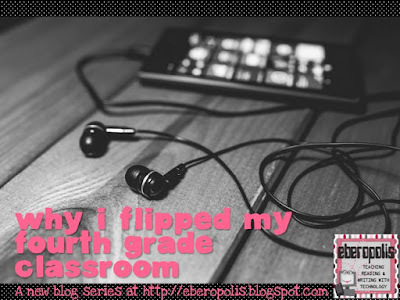 Last week, I shared a bit about why I flipped my classroom, and I got some great questions! Today I want to share a bit more about my process and the logistics for flipping. There are lots of ways to do it, and I'm sure there are many other great ideas out there, but this is what has worked for me so far. a) Does it make sense to flip? You don't want to flip for the sake of flipping. 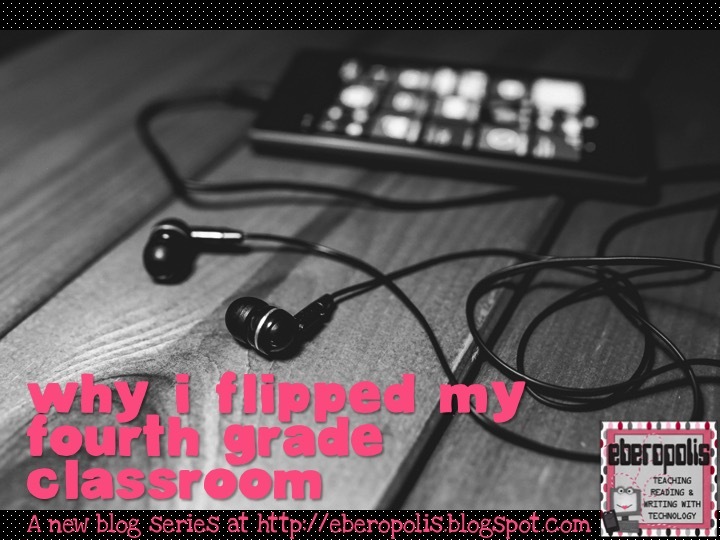 I always ask myself, "Would this lesson make sense as a flipped lesson?" There are times when some introductory lessons require lots of hands-on scaffolding, and my answer might be "no." But other times, when the lesson is mostly information and practice, the flipped model absolutely makes sense. b) What content must be covered? I go through my math lesson plan, and determine the content that has to be covered in the video. I'm really selective about this because I want my video to be less than 10 minutes long. It's still a mini-lesson, after all, and if I go any longer than that, my students will tune out. Plus, even though the video may be 10 minutes, the viewing time could be much longer than that if students are pausing the video to write things down or take notes. I try to keep in mind the idea that less is more. c) Am I the best person to deliver the content? Usually my answer is "yes," but not always. I've tried to share videos from Khan Academy or LearnZillion in the flipped model, and the kids just didn't respond as well to those. They're more likely to tune in when the video is made by their teacher because they have a personal connection. There were a few times when I've used someone else's videos because the production was significantly better in some regard (e.g., it included songs or humor that I couldn't pull off). But usually, I make the videos myself. Once I know the content of my lesson, I decide what method I'll use to produce the video. I choose from a few different options. Sometimes I have a presentation already created in a flipchart for my ActivBoard, and I can just film my voice interacting with my computer screen on that. My favorite tool for screencasting is Screencast-o-matic. It's very user-friendly and it uses a yellow circle to highlight your mouse so students know where to focus their attention. The free version works well, but for $15/year, you can get lots more editing and uploading options. If you're interested in screencasting, I would recommend trying out the free version for a while to see if it's something you'd like. Usually I use whiteboard apps such as Explain Everything or Educreations to make my flipped lessons. I always create the slides in advance so that I don't waste precious recording time writing out problems or building models that could simply be explained. Then once all of the slides are in place, I'll record the audio over them. This approach also allows me to work in pieces, too, because I never know when I'm going to get interrupted. I've blogged about paper slide shows before here. Sometimes the lessons are a bit more hands-on (e.g., using a protractor), and I want to show students some examples. 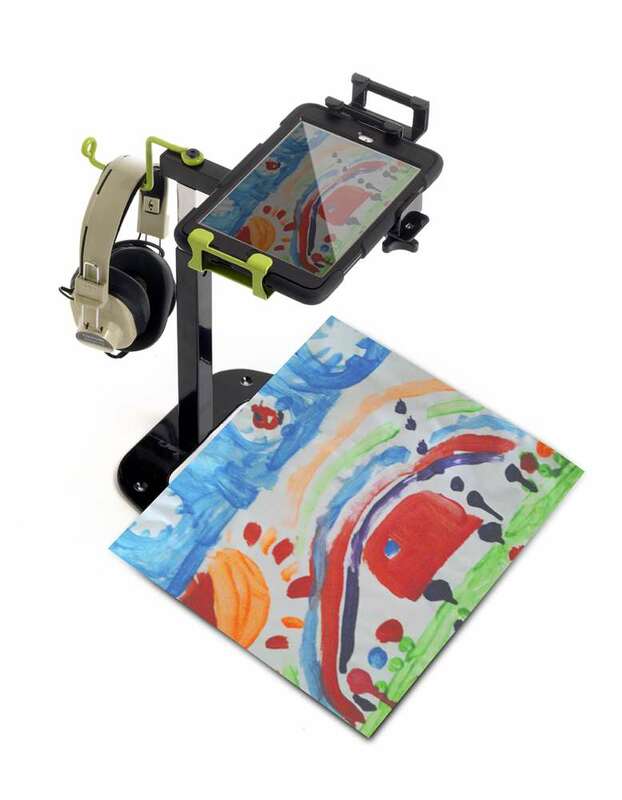 In those instances, I use my DEWEY Document Camera Stand ($120, www.copernicused.com) that turns my iPad into a document camera, and I work and film underneath it. I mostly use this approach with Geometry and Measurement standards, but when I need to do a lot of physical manipulations, the paper slide show works well. Once I've made the video, I need to upload it to a platform for students to view. YouTube is blocked for students at my school, so I use Vimeo instead. I ended up buying a Vimeo Plus subscription last year ($59.95/year or $9.95/month). That gave me much more space for uploads each week (5 GB vs. 500 MB with the free version), and it sped up my upload times, so it was worth it to me when I was crunched to get the videos uploaded after school. I created a channel for some of my videos, and now I'm going back to re-make some or better tag/organize the videos for each unit. Once the videos are uploaded on Vimeo, I needed a way to share the links to the videos. When I started, I was posting the links after school each day, but I eventually cut out that step. Now I make one Google Document each term with all of the dates and lesson topics, and then I just copy and paste the links into that document as they're done. That helps my students because they find the video links in one spot, and I can post the links as they're available. Here's an example of what that document looked like one term. 1. Make your videos in batches. I found it much easier to make all of my videos for the week at once. I could usually tackle this in a couple of hours each week, and it was much less stressful than trying to film every day. I was able to find my rhythm with the process when I batch-produced videos, so that's how I try to work now. Even if you only make one video each week, you're still starting to build a library of flipped lessons for future use. I didn't make as many videos as I'd wanted to last year, but I'm grateful for the ones I already have done because that's less work I'll have to do this year. See if someone else on your grade level team would be interested in flipping with you, and then divide up the lessons. Even if you're not the one teaching the lesson in every video, the students will appreciate it being someone they know. 4. Get some cheap .mp3 players for student check-out. Most of my students had Internet access at home to watch the videos, but a couple didn't. I wrote a grant to buy 10 inexpensive .mp3 players that students could check out to watch the videos. They didn't require an Internet connection because I saved the videos straight to the hard drives, and since they were cheap .mp3 players (<$20 each), they didn't have any bells and whistles to make them targets for theft. It was a workable solution for those students who lacked technology access at home. Next week, I'll share more about what my math block looks like under the flipped model. Until then, I'd love to hear from you. What are some tools you use for video production in your class? What challenges do you foresee with a flipped model? Share your thoughts in the comments section. Of all the subjects, math is probably my favorite to teach. But it is definitely not easy. By the time students are in fourth grade, there's often a wide range of abilities. Last year, I had students who could barely add and subtract and others who were working well beyond grade level. Trying to design lessons that worked for them was a real challenge. If I moved too quickly through the lesson, several students would get lost. If I moved too slowly, others would get bored and start causing different problems. Then I attended the Georgia Educational Technology Conference and heard some sessions about flipped teaching, and a lightbulb went off. If you're not already familiar with flipped teaching, the idea is that we need to "flip" the traditional way we teach -- lesson at school, practice problems at home as homework. Instead, students should watch a short video lesson as homework to prepare for class, and then the majority of class time is spent working on practice and application while I'm there to guide them. I did this pretty consistently for the second half of the year, and I couldn't be happier with the results. There were so many advantages. 1. Students became more confident. For some kids, math can be intimidating. Everyone works at different speeds. What may be an obvious concept for one kid may take multiple explanations for another. There's lots of vocabulary and room for mistakes, and when you feel like other kids are getting it faster than you, your confidence suffers. All of this went away when I flipped. Students were watching the videos at home on their own. No one knew whether they needed to replay something a couple of times until they got it. No one knew that they had to pause the video for 5 minutes to try a problem that others would have solved in 30 seconds. They could all work at their own pace, and they came to class more confident and prepared for practice the following day. The attitude shift in my students this year was reason enough for me to continue flipping. 2. Parents were less stressed. There have been so many times when I've heard parents complain about math or express their discomfort in helping their child because they weren't taught math the way we teach it now. And I get that. I remember thinking in my math methods courses that I could have been great at math if someone had explained it to me better as a child rather than having me memorize algorithms. Having the flipped model created allies from a lot of math-hating parents. Some would watch the videos along with their children and have those lightbulb moments where concepts and strategies would suddenly make sense. Others expressed a sense of relief that they didn't have to worry about "undoing" the things we were doing in the classroom by just jumping to the standard algorithms. We were all more comfortable with the math. 3. I had more time to see what students could actually do. While I always tried to keep my in-class mini-lessons short, there were days when they would drag on because some kids just weren't getting it. By the time I felt confident they could try some problems on their own, we hardly had any time left. And by the time they got home to do it as homework, they'd forgotten what we'd spent the morning talking about, so they were back to square one. Now that I've flipped, I only need 5-10 minutes maximum at the beginning of my math block to do anything whole group. I spend that time answering questions, clarifying any misconceptions, and checking the 1-2 practice problems that I typically include at the end of the video. The rest of my math block was then spent working with small groups, conferring with kids, and getting into richer practice and problem solving than I could ever fit in before. I also didn't have to worry about students getting the right answers only when their parents "helped" them. When it came time for assessments, I had a much better sense of where my students were at and what to expect from them because I was more deeply involved in their learning. 4. I didn't have to worry when we had a sub. In the past, I would write off sub days as lost instructional time when it came to math. Now that I've flipped, that is no longer the case. I include a link to the video I've created in my sub plans, and I have the sub watch the video with the class again to start the lesson. Usually that gives the sub enough background knowledge to help with the learning task, and my students have enough scaffolding from my instruction that they can work through the practice. It made those lost days so much more productive. This year, I will be on maternity leave for 12 weeks, so I'm nervous about what will happen with my kids while I'm gone. But I'm less nervous about the math because I already have videos made for most of those lessons from last year. My students will have continuity in math instruction because of it. 5. Students were more successful and could tackle bigger challenges. Last year was my best year ever as far as student performance on end-of-year assessments and benchmarks. I think a big part of that can be attributed to the move toward a flipped model for math. My students had more time and confidence to master the fourth grade standards, and as a result, I was easily able to push them into bigger challenges. When I surveyed the students mid-year about the flipped model, their responses were overwhelmingly positive in support of it, and I knew it was something I need to continue in the years ahead. This will be the first year that I use the flipped model for the whole year, so I will need to prepare more video lessons and give some thought to how I'll transition my students (and their parents) toward this model. In the weeks ahead, I plan to share more about the tools I use to create flipped lessons and some troubleshooting tips for problems that might come up. 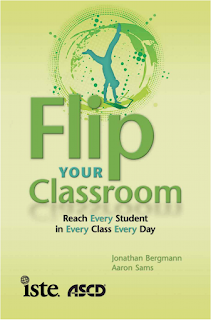 Now that I have some experience flipping, I'm going to go back and reread Flip Your Classroom: Reach Every Student in Every Class Every Day by Jonathan Bergmann and Aaron Sams. Jon was one of the speakers I saw at GaETC, and he's one of the founders of the flipped classroom movement. I read the book quickly as I started to flip, but I think there are more ideas to be pulled from it. I'm also starting to think about other areas where I could flip instruction. One possibility might be some of the grammar, vocabulary, and word study components of my ELA block. I consistently struggle to fit everything in to that time, and flipping might be the answer. 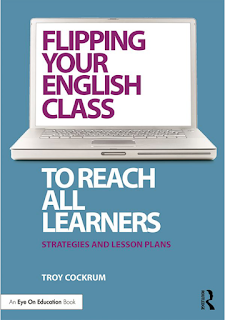 I've downloaded the book Flipping Your English Class to Reach All Learners: Strategies and Lesson Plans by Troy Cockrum, and I'm hoping that will give me some more inspiration. Have you tried flipping any parts of your instruction? I'd love to hear more about your ideas and experiences in the comments! Teachers' voices matter, and I want to hear from you! Hi bloggy friends! I know it's been forever since I've updated this blog, and trust me -- lots of ideas are percolating in the hopper about my flipped(!) 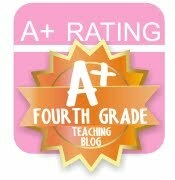 fourth grade classroom and other things I've tried this year. I promise those posts are coming! But in the meantime, I need your help! This summer, I'm starting to work on my dissertation, and I'm testing out my ideas in a pilot study. I'm planning to write my dissertation about the amazing elementary blogging community and the ways that teachers use blogs for professional development and personalized learning. I know that reading other teachers' blogs has been hugely inspiring for me as a teacher, and I can't imagine what I would do if I didn't have access to so many great teaching minds across the globe. Shockingly, however, very little has been written about these great online communities and their benefits, and I want to explore that further. Scholars, politicians, and administrators need to know how much teachers learn from each other! Which is why I need your help. 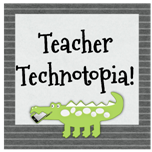 I'm looking for a few teachers who would be willing to be interviewed about how they use blogs to support their work in the classroom. I want to talk to both bloggers and readers, so even if you don't have a blog of your own, I'd still like to talk to you. This first wave of interviews will take place next week (June 20-26) and they will all be done online via Skype or Google Hangouts. I anticipate that each interview will last 45-60 minutes. If you are willing to participate, could you please fill out this form so I can contact you directly? In exchange for your time, anyone who participates in an interview will receive up to $20 worth of free products from my TpT store. Once you fill out the form, I will be in touch to arrange a time that will work best for the interview. I need to conduct (and transcribe!) at least 3 interviews next week to fulfill the requirements of my current coursework, but don't let that small number deter you -- I will need many more interview participants once I move beyond my pilot study and begin work on my actual dissertation, so I'd love to have a list of possible interviewees already started. 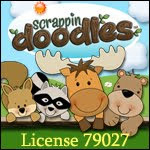 And my offer for the free products from my TpT store will still stand. I hope that you will consider participating! I look forward to talking to you and learning from you. 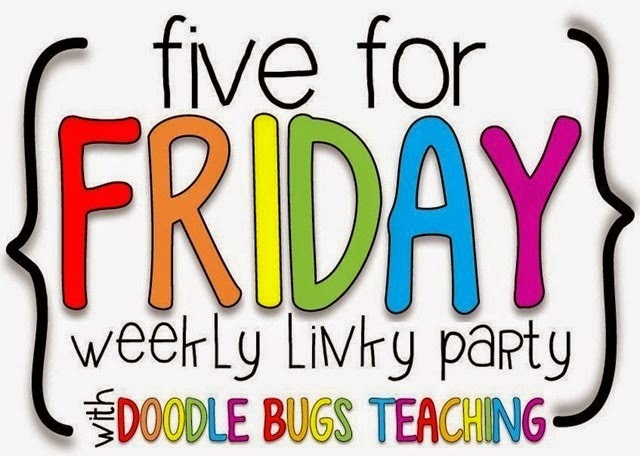 Today is the FIRST time that I've ever linked up Kacey and the Five for Friday Linky Party even though it's one of my favorites. I love seeing pictures of what all of my teacher friends are up to each week, and in the spirit of getting back to my blog--let's do this! Usually my winter breaks are a little over a week long, but this year, I got two full weeks -- one with my family in Michigan, and one at home with my favorite three-year-old. We had all sorts of adventures hanging out together this week, but one of my favorites was having a "pajamas and hot chocolate day" together. She is becoming such an awesome little person, and I'm proud to be her mommy. I cherish these days of hugs and laughter together. We started implementing a "family game night" tradition this week, and it has been a lot of fun! Sydney is finally old enough to start to understand board games, so we used her holiday gift cards to build up her stash. We start out the night with some of her choices (The Sneaky Snacky Squirrel is a particular favorite! ), and then after her bedtime, we move on to the grown-up games like Ticket to Ride and Dominion. I've always loved playing games, so I'm excited to build this into our routines. I go back to work on Monday, but it's going to be a staff development day. I'll see the kids on Tuesday. I've finally reached the "acceptance" stage of my break where I'm accepting that I have to go back to work and need to get going on grades and lesson plans. I pulled out the Tuesday bucket today so I can start to tackle that. Wish me luck! I'm hosting a Jamberry open house tomorrow for my friends who want to try Jamberry. I recently became a Jamberry consultant because I love the wraps so much and wanted to cut my expenses a bit. I'm so glad that I did--it's been a lot of fun, and it has helped push me out of my comfort zone. Plus my nails always look good now. :-) If you'd like to try a free sample, you can fill out my form at http://samples.eberjams.com. Another year is in the books, and as always, I'm excited to be seeing the start of a new year. Last year will be remembered for its big highs and deep lows, but I know that everything happens for a reason, and I feel like I'm in a good place to start 2015. And one place I plan to start is being a better blogger! So here's my Currently post for January 2015. Listening - It's my daughter's bedtime here, and my husband has bedtime duty tonight. It's a rare moment when the TV is off, the dogs are asleep, and all is quiet in the house. I'm savoring it. Loving - I think that New Year's Day may be my favorite day of the year because it is a fresh start where it feels like anything is possible. I often feel this way at the beginning of the school year, too, but I think I prefer this time of year because there's more predictability with everything. I already know my students very well; we've built our routines and expectations, and the only things that need to be changed are the things I *want* to change. It's an empowering holiday. Thinking - A major reason why I haven't been blogging much lately is because of my Ph.D. program. It feels weird to be writing something that doesn't have a lengthy bibliography attached to it! I continue to be excited about my dissertation topic, though, and I've been thinking about it more and more. I plan to write about the role of social media in teacher professional learning. The short version is that I'm going to study how reading and writing about classroom practices through blogging affects teachers' feelings of effectiveness in the classroom (self-efficacy beliefs). I think connecting with other teachers through blogging and other social media has been one of the best moves I've ever made as a teacher, and I'm curious to find out if others feel the same way and what consequences it might have. One of my classes this semester is actually requiring me to blog about my research, so I'll be setting that up in the next week. 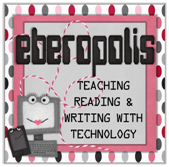 It will be a separate blog as I doubt my classmates in other programs will really want to read about Eberopolis, but I'll share a link here if you're interested in following or learning more. Wanting - I had 18 blog posts in 2014. Pathetic. I have a notebook full of ideas, so now I need to get them out here. My goal is to blog at least once a week, and as I've been getting other things in my life better organized, I think that's realistic. Needing - I set some big goals for this vacation as far as getting myself organized for the new year, and so far, I've done a great job. For example, I already have 2 months of healthy meals planned for my family (written on sticky notes so I can shuffle them around when stuff inevitably comes up). And I've been cleaning closets and creating a new workspace to boost my productivity in the new year. I even made my annual pilgrimage to The Container Store today! I just need to wrap up my remaining projects tomorrow so I can enjoy my weekend before returning to school on Monday. (I'm @eberopolis on Instagram if you want to see more about those projects...). YES to my health. I lost nearly 20 pounds between Labor Day and Christmas, and while my trip to see my family for the holidays reversed that trend a little, I'd like to continue to focus on my health in 2015. I've been doing Weight Watchers, and losing weight has been easy when I've taken the time to plan what I'm going to eat and track what I eat throughout the day. I'm ready to get back on track. Maybe to becoming a morning person. I already get to work by 7:15 each morning, but I would hardly call myself a morning person. I read The Miracle Morning by Hal Elrod over break, and it has me thinking about whether I should try to get up earlier to add things like meditation and exercise to my morning routines. I'm thinking I'll try it for a month and see how it goes. (The book was good, btw. An easy read to be sure). I wish...I love my job--I really do--but I'm starting to feel like it's time for me to tackle a new challenge. I want to be able to work with other teachers to help them troubleshoot issues in their classrooms, improve their teaching, and use technology more effectively. I purposefully chose to go into an Educational Leadership PhD program for that reason; ultimately I want to teach in higher ed and/or become an administrator. I'm not ready to do all of that yet, but I wish that I could find an instructional coaching position or something similar that would let me work more directly with teachers while I keep working on my program. It might be time to start that hunt this year. 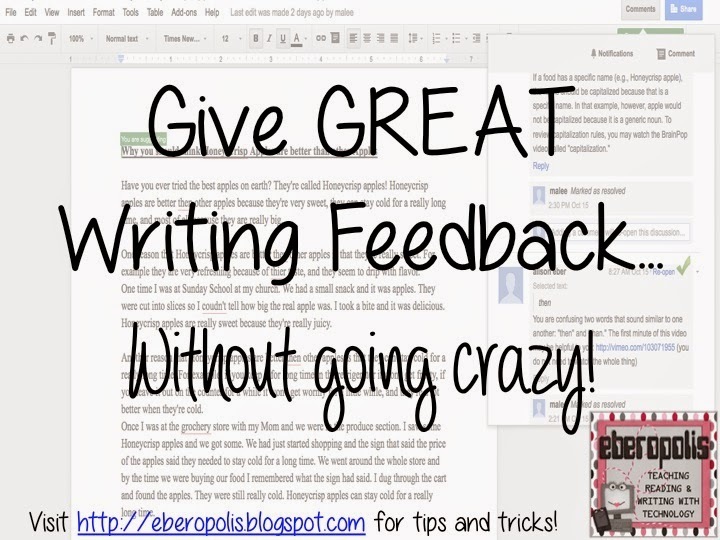 Give Great Feedback (Without Going Crazy)! I honestly don't know how high school English teachers do it. For years, I have struggled to keep up with the writing output of my fourth graders so that I can give them the high quality feedback they need so they can improve. I must say, however, that once again, technology makes this process SO much easier. Today I'm going to share some high-tech (and low-tech) ways to give great writing feedback without having to give up all of your nights and weekends. 1. I can keep tabs on my students. We all have those kids who look like they're working but really aren't. Or those who just struggle to get ideas down. In the past, when I used notebooks, it might take me a couple of days to realize that a student was struggling. Now, I can leave those students' documents open on my laptop and see in real time what's happening in their writing. It makes them and me more effective during our writing block. 2. It's a great source of data. I was working with a student in RtI, and one of the data points I had to collect was how much writing she was able to accomplish during our writing block. Google Docs allow you to go back through a document's revision history so I could see what the writing looked like each day. I could track word counts and changes, and I could even see if she had worked on it at home (where the big changes seemed to happen). All of that information was very helpful and far more than I could have gathered using a notebook. 3. It makes conferring and feedback easier. I can have students ask me questions about their writing, and I can immediately pull it up and see it. I can also track when I've given feedback and which feedback gets used or ignored. It's a great record of my work with students. Give audio feedback -- make comments about the paper by talking to the student about his or her writing. It will record your comments and embed them to the document. This would be SO much faster than typing things out. Re-use comments -- if you find yourself making the same comment over and over again, you can create the comment once, tag it for easy finding, and use it again later. Talk about a time saver! Embed videos -- sometimes students benefit from short movies or examples that teach a particular skill. It's like a personalized mini-lesson. The problem? As of this writing, the app doesn't work with the iPads. Kaizena creates a link in the first comment and that link directs students to their platform, but links like that aren't clickable through the comments on Google Docs' iPad app. It would be great for a class with 1:1 laptops, but that's not where I'm at. I've heard that an iPad app is in the works, but until then, I'm having to devise my own alternatives. 2. Comment - type out the exact text of what you want the comment to say to address a particular skill or issue. Wherever applicable, include a link to an additional resource students can use for more examples of what you're talking about. I tend to include titles of BrainPop videos or links to Vimeo clips (not blocked by my school's webfilters, unlike YouTube). While my students still can't access the links in comments through their iPads, I can let them use one of our classroom laptops to view the particular video. The fact that it's just one comment vs. all of the comments make this option work for us over Kaizena. Here's an example of a comment I gave a student who was confusing "Then and Than"
3. Related Standard(s) - This is just one additional way for me to search through my comment library. Plus, if I find myself giving the same comment over and over again, I'll know which standard I may need to revisit in an upcoming lesson. My comment library allows me to give more thorough feedback in much more depth. Unlike a checklist or a rubric, I'm offering very specific feedback and suggestions targeted toward exactly what I see in a student's writing. When I notice something happening in the writing, I can highlight it, hit the comment button, and copy & paste the relevant suggestion into the comments section. I can do this quickly and still have time to type some individualized suggestions that may be relevant to the student. It's much more thorough than anything I could ever do on paper. In addition, my comment library is constantly growing as I find new resources and see different things happen in students' writing. I've only been doing this for about a week, and it's becoming a great tool to help me curate resources and differentiate instruction. As I mentioned, I've just started building this comment library on Google Drive. If you'd like to see it, you can view it here. If you'd like to get involved as a contributor, you can contact me via email or blog comments and I'll share the document with you so you can edit and add. This is off-topic, but I was super excited at the arrival of my Halloween Jamberry nail wraps this week, and I finally tried them out today! I love the purple color and the subtle flare of bats flying around. It makes me feel festive without going over the top. I still have some Jamberry samples available to mail out, so if you'd like to try Jamberry nail wraps for yourself, I'd love to share! They're easy and fun, and they come in so many styles that you're sure to find some that you love. 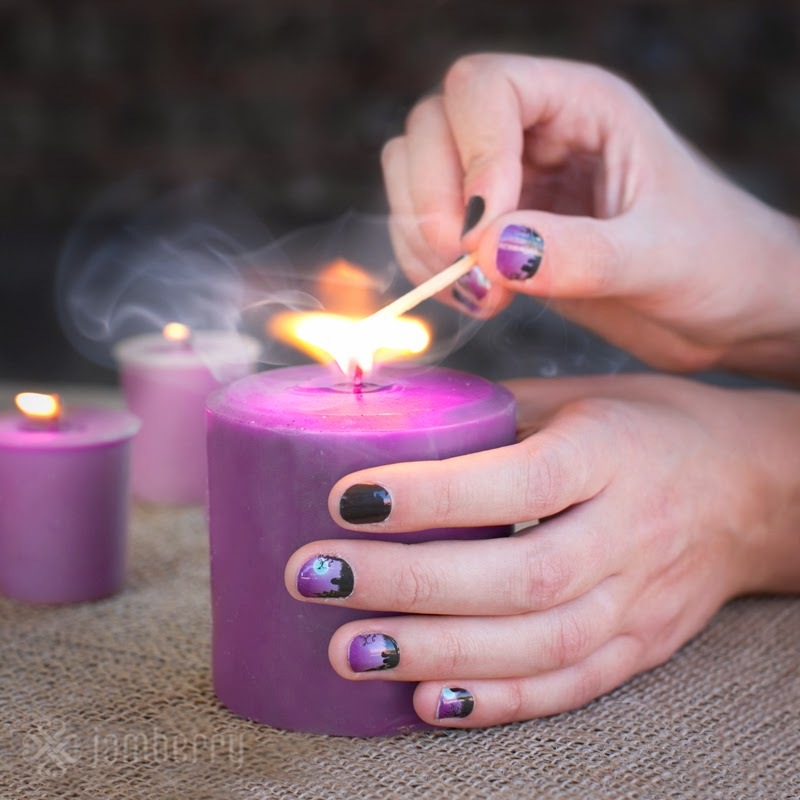 You can visit my Jamberry site or email me at eberjams (via gmail) to request a sample. Have you ever heard the expression "There's no tired like teacher-tired?" I didn't become a coffee drinker until I started teaching, and it seems like every teacher I know juggles way too many responsibilities. We teach, we parent, we study, we meet, we plan, and somewhere in that mix, we're supposed to take care of ourselves and our families as well. Talk about a tall order! I've never been great with the work-life balance, but as I've been increasingly pressed for time this past year, I've learned to prioritize and find shortcuts so that I can still feel pampered despite feeling crunched. Today, I'll share 3 of my favorites. I've seen bazillions of teachers blog about Jamberry before, and I'll admit that I was skeptical. I love getting my nails done, but I lack the time and budget to do that with any regularity. Not to mention, manicures never hold up on my nails. They always smudge or chip within a day. Getting gel manicures has helped, but those take a long time to put on and take off. And usually, I destroy my nails taking them off, too, because I'm impatient. They look much more vibrant than any polish I've used, and they're not expensive. A sheet of wraps yields 2-3 manicures + at least 1 pedicure. If you have really short nails, you could probably get more out of them. I always buy them using the buy 3 get 1 free deals, so it's less than $5 for a mani/pedi for significantly less time and effort. I like Jamberry so much that I just became a Jamberry Independent Consultant (mostly so I can get the consultant discount on my nail wraps -- I want them all!). If you haven't tried them yet, I'd be happy to tell you more or hook you up with a sample to try for yourself. You can find out more by visiting my Jamberry website and liking my Jamberry page on Facebook. Or just leave me a note in the comments section, and I can arrange for a sample to be sent to you. As a plus-sized person, I've been super jealous of all of the cute teacher-y clothes that friends have been posting from Stitch Fix. 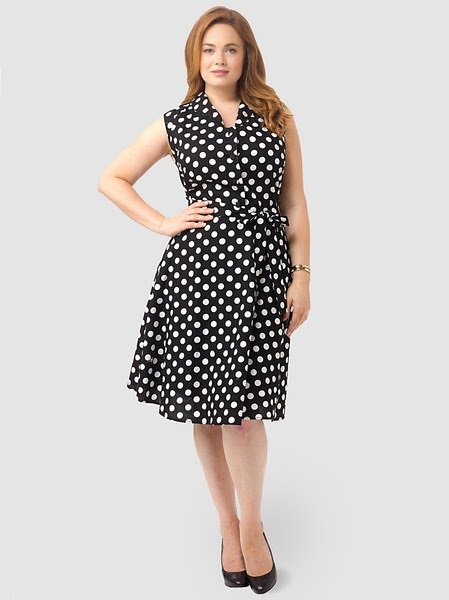 But I finally found an alternative that I love in Gwynnie Bee. Gwynnie Bee is a clothing subscription service that is like the Netflix for clothes. You select a plan (I'm currently on 3-at-a-time), load up your "closet" with clothes you like, and sit back and receive outfits from your virtual closet. If you like it, you can wear it and send it back when you're through with it or buy it at a discount. If you don't like it, you can immediately send it back to exchange for something else from your closet. There's no limit to how many outfits you are sent each month, and you can alert Gwynnie Bee that you're sending something back so they'll send you your next item. 1. It's convenient - The clothes are delivered to my doorstep, and they have a prepaid plastic envelope so I can send them back. I'm constantly getting new outfits to try. 2. It's a time-saver - I don't shop nearly as much as I used to, and I don't have to do as much laundry or dry cleaning because Gwynnie Bee takes care of it all. 3. There's no guilt - Shopping for plus-sized clothes gets depressing because selections are always more limited or dowdy, and while catalogs offer better selections, I never know how it will fit me. Now, I can have clothes delivered and not feel bad sending them back if they don't turn out as well as I'd hoped. The minute I tried that dress on, my husband told me to buy it. Who could argue with that?! 5. It's perfect during transitions between sizes. I gained a bit when I had my daughter, and then I packed on a few more pounds when I started working on my PhD last year. I started Weight Watchers around Labor Day, and I'm already down 10 pounds (woo hoo!). I intend to keep on losing weight, but I don't want to have to buy a whole new work wardrobe at each step along the way. Now I can just go in and adjust the sizes on the clothes in my closet (they have sizes 10-32). Gwynnie Bee offers the first month free, and I highly recommend it. You can check it out using this link. I started subscribing to Birchbox and Ipsy about a year ago. I'm not a huge makeup or product person, but I like trying new things, and it's fun to get a package every month. It's a small indulgence that makes me feel extra pampered. For example, this month, I received this amazing rosemary-scented shower gel in my Birchbox, and it's something I never would have found otherwise. In my experience, Birchbox tends to have more high end products while Ipsy has larger midrange samples that come in cute bags. I look forward to receiving both. The older I get, the more I realize how important it is to take care of myself. 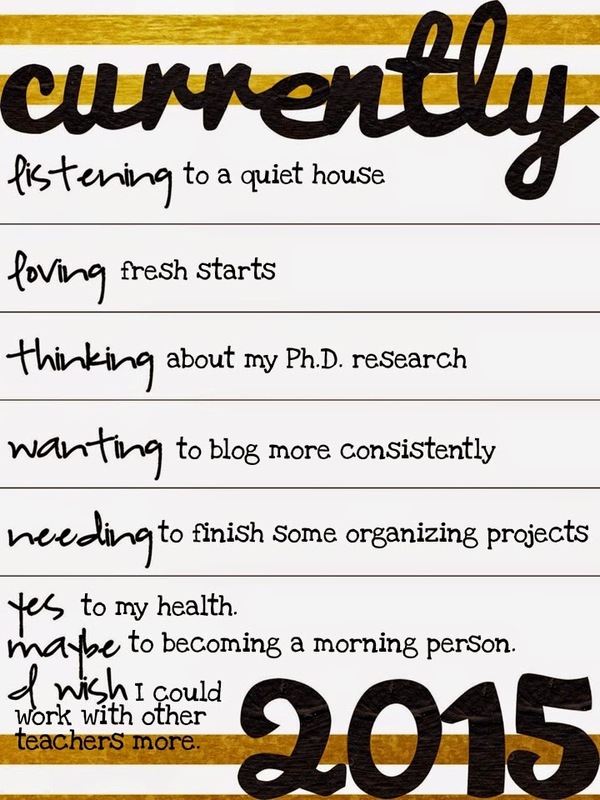 This is true especially when everything gets busy and chaotic between work and grad school and caring for my family. I don't get to go shopping or go out for mani/pedis anywhere near as much as I used to, but I don't need to. There are so many amazing services and products out there that you can treat yourself even when you're extra busy. Finally, while I've been trying to take more time to pamper myself this year, I've had some help in the "feel like royalty" department. 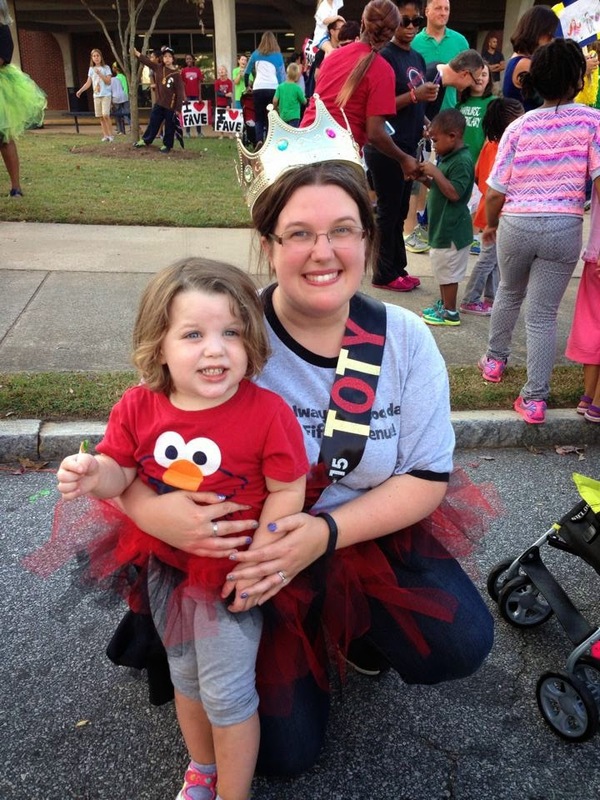 I was shocked beyond words when I was named Teacher of the Year at a faculty meeting last week, and my dear friends went out of their way to make me a crown, a tutu, and a sash for the local homecoming parade last week. They even made a matching tutu for my 3-year-old (who loves tutus). I work with some pretty amazing teachers, and they definitely inspire me and push me to be the best teacher I can be. I'll be sharing some of our amazing projects together in some upcoming posts, but I have to thank them for all they do for me each and every day. Loving what you do and where you work is the best kind of pampering of all. This site is copyright protected. Anything reposted from this site to a site such as Pinterest must link back to this blog and/or give credit to Alison Eber/Eberopolis. Fellow bloggers are always welcome to link up, but please do not share any of the content without crediting the author. Nothing can be reposted from this site (excluding the button features) without written permission from the author. This includes writing, photographs, images, and downloads. For questions about this blog, please use the contact form link located HERE.